The Sterling Silver Pearl Engraved Pendant is the perfect gift to any mother. 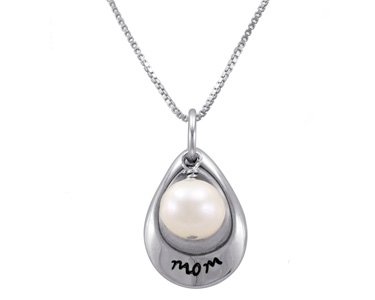 This sterling silver Mother’s day pendant features a 7-8 mm freshwater pearl and is engraved with the word “Mom." An 18’’ sterling silver chain is included.